Jabalpur is one of the major cities of Madhya Pradesh state in India. It is the third largest urban agglomeration in Madhya Pradesh and the 38th largest urban agglomeration in India as per the 2011 census statistics. Its old name was Jabalipuram which later changed to Jubbulpore during British Governance. It is bordered by Katni to the north, Umaria to the north-east, Dindori to the east, Mandla to the south-east, Seoni to the south, Narsimhapur to the south-west and Damoh to the north-west. Jabalpur is the administrative headquarters of both the Jabalpur district (the second most populous district of Madhya Pradesh) and the Jabalpur division. Historically a center of the Kalchuri and Gond dynasties, Jabalpur developed a syncretic culture influenced by the intermittent reigns of the Maratha and Mughal empires. In the early nineteenth century, it was gradually annexed in British India as Jubbulpore and incorporated as a major cantonment town. Post-independence, there have been demands for a separate state of Mahakoshal with Jabalpur as its capital. 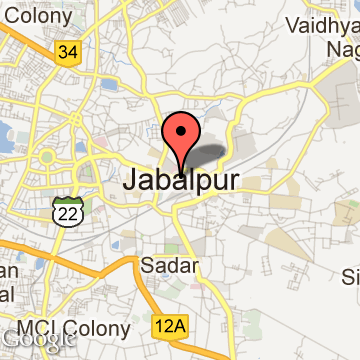 Jabalpur was also the epicenter of a major earthquake in 1997. Jabalpur is known for its picturesque marble rock formations (Bhedaghat) on the banks of the river Narmada. Because it is the army headquarters of five states (Madhya Pradesh, Chattisgarh, Odisha, Bihar and Jharkhand), one sixth of the city is occupied by the Indian Army. Several important federal and state institutions are located in Jabalpur, including the Government NSCB Medical College Hospital, the premier technology institute Jabalpur Engineering College; the Indian Institute of Information Technology, Design and Manufacturing, Jabalpur; the Madhya Pradesh High Court; four Ordnance Factories of the gigantic Ordnance Factories Board; the Madhya Pradesh Electricity Board, the Tropical Forest Research Institute, and the zonal headquarters of the West Central Railway. Ashokan relics have been found in Rupnath, a place 84 km north of Jabalpur, suggesting the existence of human civilization here dating back to c. 300 BCE. Much later in history, Karanbel (now called Tripuri/Tewar) on the outskirts of current Jabalpur was the capital of the famous Kalchuri kingdom in the 9th–10th centuries CE. Jabalpur Tourism - Get all information on Jabalpur tourist places and sightseeing tours. Our website helps you plan your next tour and gives you great ideas on what to do, where to eat, where to stay and when to go there. We give the best information from the web to give you precise, meaningful and useful travel guide for leading places to visit in India and from across the world. Our travel information on JABALPUR tourist places, tourist attractions, major sightseeing, the best time to visit, the top places to visit in Jabalpur, the must-see things to see and do, maps, restaurants, hotels, nearby tourist destinations, local public information and more. 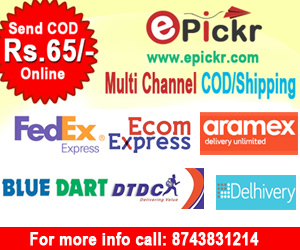 To start with check out information on how to reach Jabalpur.